Collapsible administrative desk in solid teak and teak veneer, ca. 1957- 1958. Solid teak, thick teak veneer Element Bu pierre jeanneret Chandigarh. 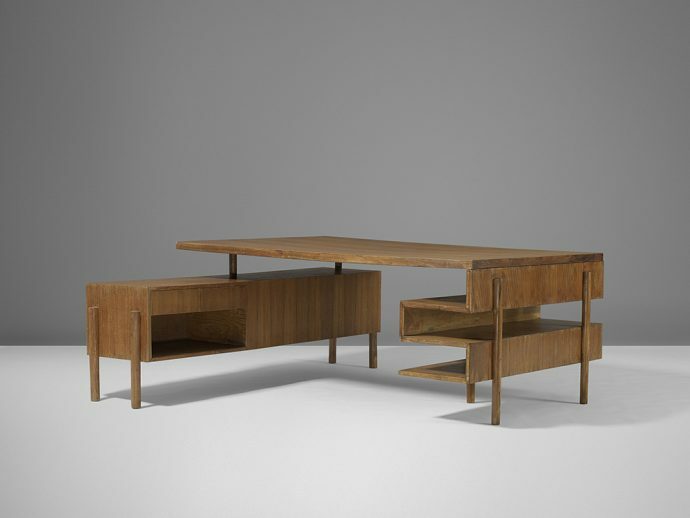 Pierre Jeanneret designed PJ-BU-16-A. A piece of design with z-element. massive teak and wood pieces of rare beauty. Charlotte Perriand came and helped. Great creations of wood and teak.